Differentiate your keys with Tinker Bell! 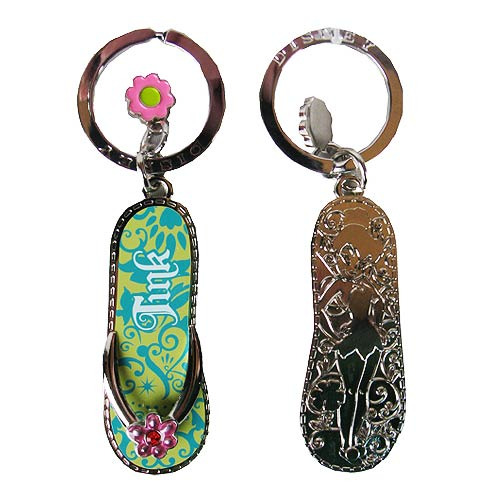 This Tinker Bell Flip Flop Green Pewter Key Chain is shaped like a green flip flop and says "Tink" on the top with an image of Tinker Bell on the bottom. Made from pewter, this key chain is the perfect thing for fans of Peter Pan and Tinker Bell! Ages 3 and up.